With the new advanced profile, we also added new fields to the request online profile update. Please go and renew your online application settings, so you can start collecting this new data from your members. Check out this link to read more about online profile updates. Online membership applications have been changed as well to support the advanced membership profile. Yet another reason to go and renew your settings. Online membership feature allows you to add a HTML widget to your website and allow new members to apply online for your club. You can find this feature under “Website widgets” located in the “Preferences” view. 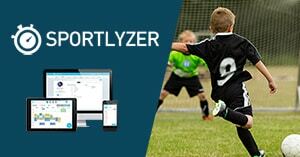 If you happen to find something that doesn't seem quite right, please send us an email to support[at]sportlyzer.com. Thank you! What to do if your email confirmation link doesn't work?